Cyan-blue waters, smooth sands and sunny days make up the Bimini Islands of the Bahamas. Located approximately 53 miles east of Miami, the chain of islands provide fishing, snorkeling and diving aficionados a special taste of the Caribbean environment. With such great vacation spots so close to home, it’s almost impossible to not find a way to get away to these tiny isles for at least a day. 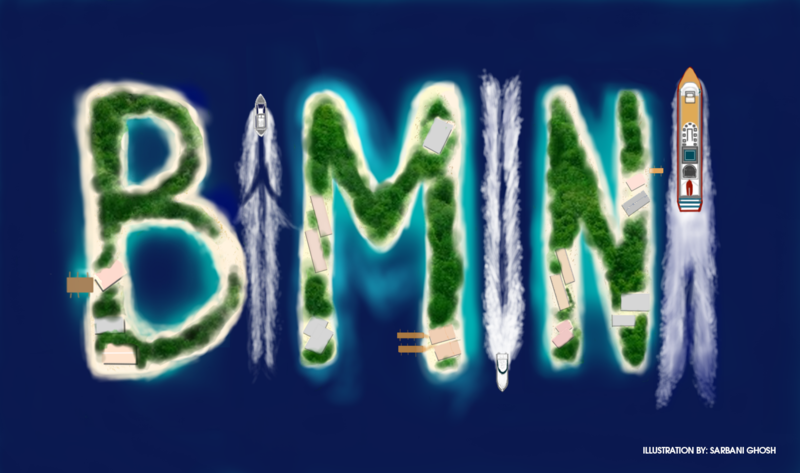 Less than a decade ago, Bimini used to be a rich man’s paradise. Unless you were a local, Bimini was reserved exclusively for those who could afford yachts or luxurious methods of transportation to the islands. The island’s popularity as a vacation spot for Miamians didn’t escalate until the opening of Resorts World Bimini. The resort, which is located near the heart of the island’s major town, Alice Town, boasts a spa area, shops, restaurants and bars. The resort is also home to an iconic infinity pool that seems to extend to the end of the sky-blue, crystal-clear water. With the popularity of the island on the rise, the owners of Resorts World Bimini decided to expand its horizons with the addition of a casino and two cruise options. Resorts World Bimini’s SuperFast Cruise Ship offers quality vacation opportunities for those with a low budget, starting at $69 per person. The ship departs twice daily from Port of Miami. Guests can choose to overnight in Bimini, or return the same day. There is also an evening cruise on weekends, which returns by 6 a.m. The cruise features a club and casino – an extended version of the one found ashore Bimini. Titled the Miami Casino, this onboard experience opens 90 minutes after the ship has sailed. At that time, the ship is in international waters, so anyone over the age of 18 can gamble. In addition to speedy transportation to the islands, the ship boasts other forms of entertainment and activities including dancing, karaoke, restaurants and bars. Some meals, including breakfast and lunch, are included in the trip price and are a good deal for the cost. While cabin reservations are not included in the price, they are available for about $40 each if booked prior to the sail date. Though Bimini boasts many activities, one of the more relaxing ways to spend the day is swimming and tanning on the smooth sands. 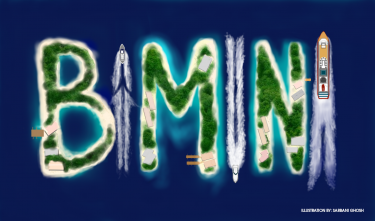 If you take the cruise, you arrive at North Bimini. You can then take a golf cart to Alice Town, where you will find a nearby beach, shops and a rustic conch salad shack. Arrive at Alice Town and find a local museum. Many people believe it stores some of the island’s best-kept tales. While some visit museums, others enjoy spending time grabbing a bowl of conch salad. Ortegon, who visited Bimini for the first time in late August and is originally from Coral Springs, Fla., was impressed by the travel’s costs and options. Whether you enjoy a conch salad from a local eatery, or prefer to grab a Kalik (the Bahamian beer) and sunbathe the day away, this trip is great for an adventurous spirit. The islands are not only extremely photogenic, but they are also home to some of the area’s most historically famous grounds. Considered a “haven” during the Prohibition era in the United States, the area served as a supply point for rum-running at the time. And according to legend and Wikipedia, Spanish explorer Juan Ponce de Leon, while searching for the famed Fountain of Youth, made references to Bimini. The Arawak and Taino populations spoke of a land called “Beimini” where such a fountain was located. For more information on the Resorts World Bimini’s SuperFast Cruise, visit rwbimini.com or call 1-888-930-8688 from 8 a.m. to 8 p.m. The offices are open seven days a week. Take cash. Not all vendors in Alice Town accept credit cards.